Last Friday marked one year since Eric Garner died in a police chokehold on Staten Island, New York. Dozens of protestors have been arrested during a week of actions against continued police brutality, including banner drops, rallies and a march with more than 1000 participants. 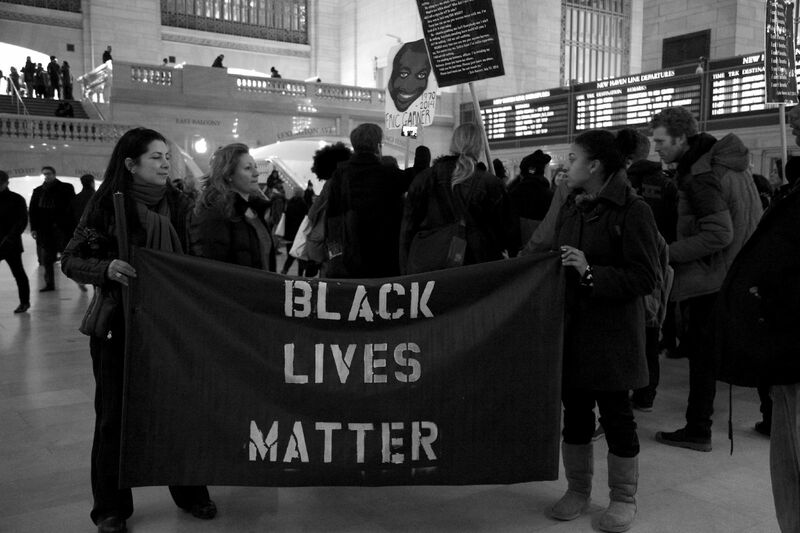 The group dropped a banner on the Staten Island ferry reading „I can’t breathe“, Garner’s last words captured on video as he struggled in the police chokehold.